Mother’s Ruin is a Juniper IPA and I absolutely love it. It’s crisp and clean and clear, the juniper berries giving you a gin brightness in both the flavour and the aroma. You find a decent caramel wafer, honey and shortcake body from the malts that reminds you that this is indeed a beer, and the hopping brings pithy dry mown lawns, dewy woodland undergrowth and a cup full of nettle tea. The orange rind that’s also been thrown into the beer adds a pleasant zesty zing, but it’s the crystal clear Juniper that makes this beer so very good. 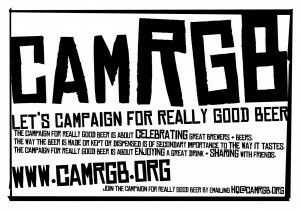 This entry was posted in Beer Review, CAMRGB and tagged Beer, Beer Review, CAMRGB, Can, Canned beer, Drinking, Fruit beer, IPA, Juniper. Bookmark the permalink.